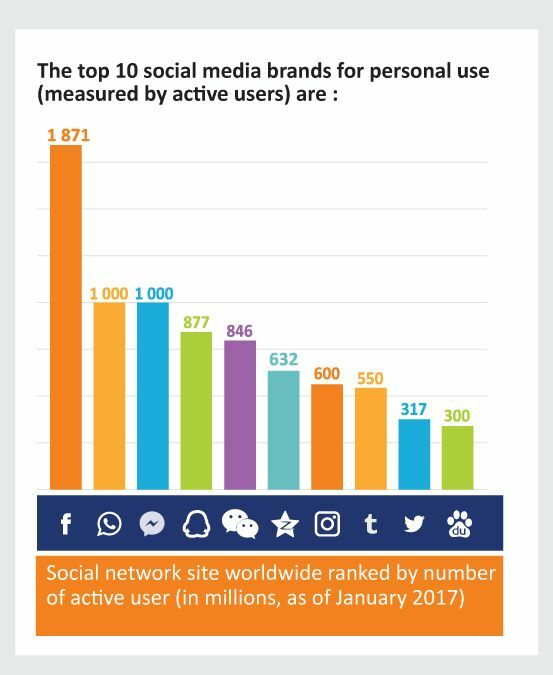 Digital technology has given businesses a myriad of ways to communicate with customers: over 2,7 billion people are reachable by email, 2.46 billion users are on social media worldwide and global users of smartphones (and therefore apps) are set to top 4.57 billion in 2018. That’s a lot of people to reach via a vast range of different channels. 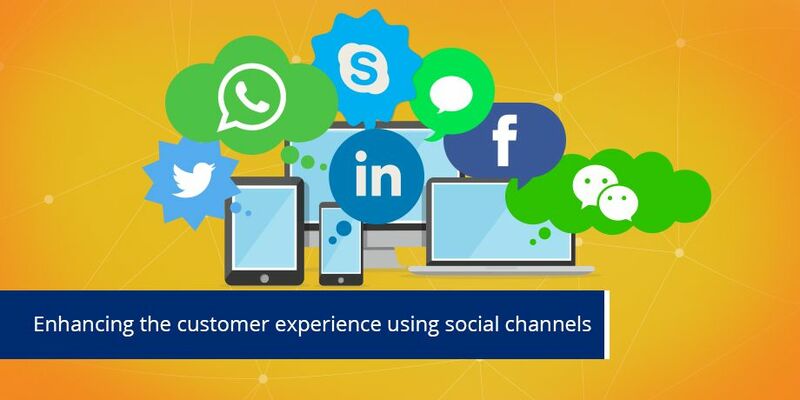 In addition to being actively accessible on all channels, businesses also need to understand how to communicate via each customer’s channel of choice . This could be email, social media, in-app notifications, text or instant messaging. 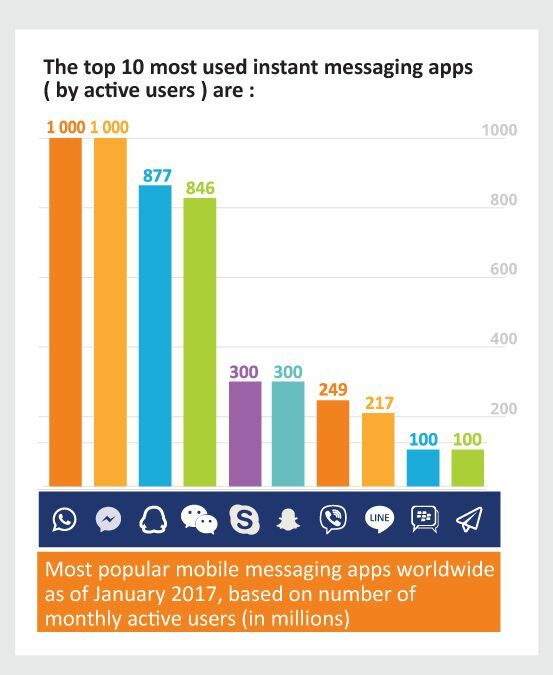 There is a lot of conversation around how to push marketing information to social media platforms and instant messaging apps, as well as how to integrate these ‘new’ channels with established channels like email. 1. Publishing information via posts to corporate feeds. Good for: “How-to” videos, competitions, travel tips, links back to website. Good for: dealing with complaints, saying thank you for compliments/mentions, getting a message out quickly, promoting self-service. Good for: sending custom 1-to-1 messages, like flight confirmations, to individuals on Facebook Messenger, WhatsApp, etc. Good for: broadening the reach of one channel by sharing via another channel. Good for: content that needs privacy such as a Facebook Billing app. 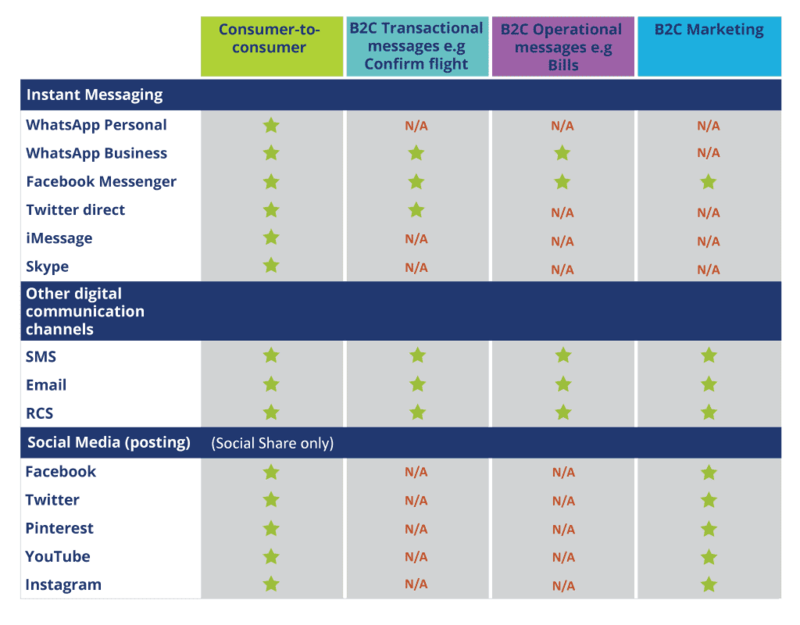 Which channels are best suited to business communications? 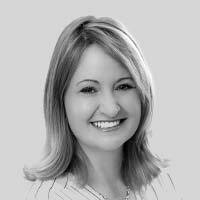 The key is to keep the customer experience as consistently great as possible, no matter who initiates the interaction and which channel they choose to use.